I can't believe how fast time is going. It feels like I've been on a speed train lately. The school year is almost over and this comes with a lot of activities and busy schedules. One of the things I have been busy with is helping organize the crafts activities for our school's Spring fair. 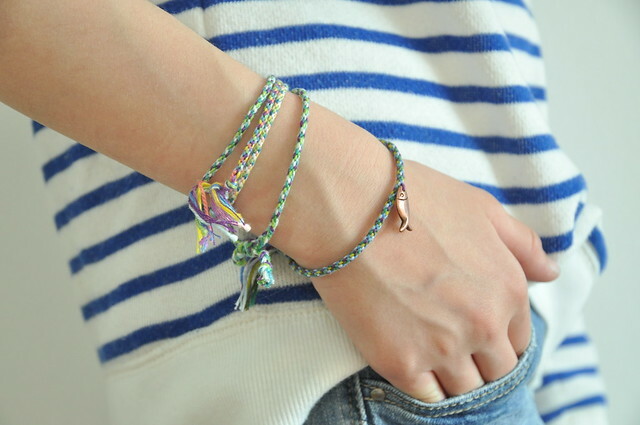 The bracelets I'm showing today, were one of the activities I was responsible for and they were a huge success! I originally found the technique here. 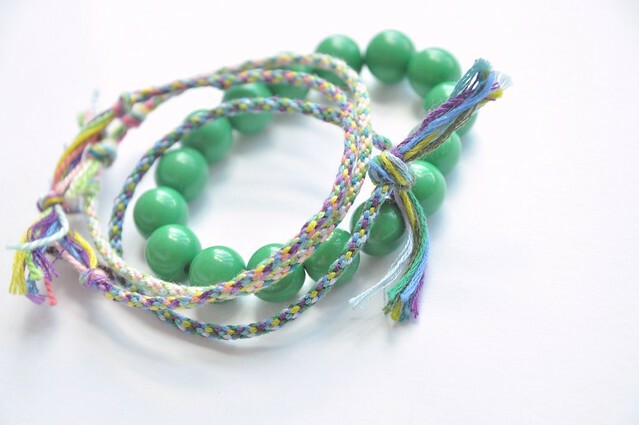 They're simple to make and turn out to be really pretty when made with embroidery floss. 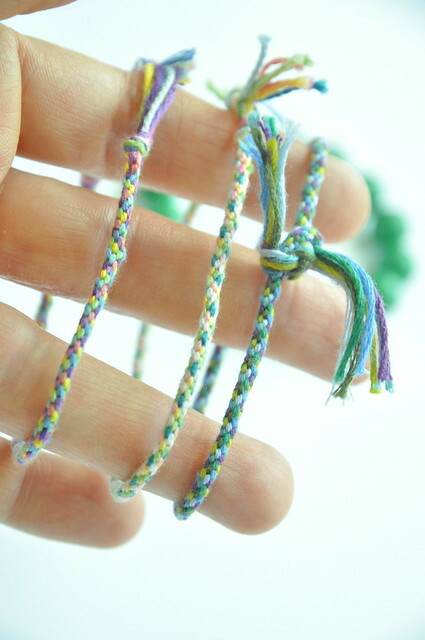 Contrary to the usual friendship bracelets these are made in the round, which makes them look a bit like shoe laces. The nice thing about this method is that when you get tired of it you can just tuck it away to resume whenever you feel like it. The girls and I have made a bunch of bracelets already (one is traveling right now in little H's suitcase as a little surprise... ). It's a perfect activity for those boring and long train/ plane rides, to do while relaxing on the beach, or why not, while waiting at the doctor's office. No special skills are required besides being able to count to three, which makes this an activity suited for even the little ones - as a matter of fact, this might be a fun way to help develop fine motor skills. Click here for the full instructions in English and here for the full instructions in French.